MOSCOW, November 5. /TASS/. 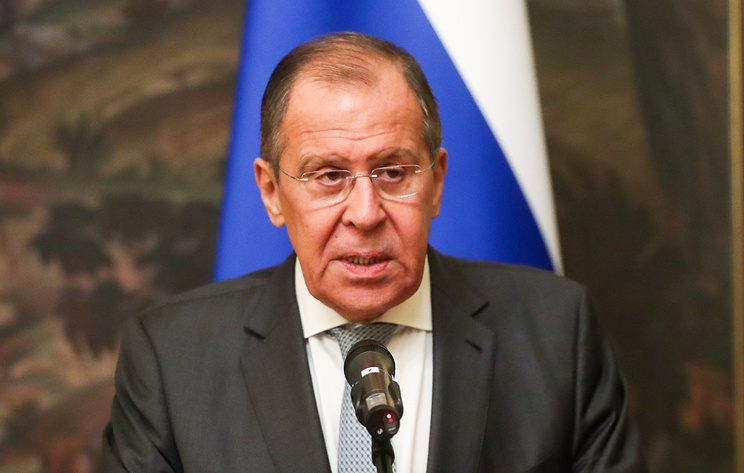 US President Donalnd Trump really wants to improve relations with Russia, but the difficult domestic situation in the US serves as an obstacle, Russian Foreign Minister Sergey Lavrov said in an interview with Spain's El Pais newspaper. "Donald Trump has repeatedly said in public comments and in bilateral contacts that he wants to normalize Russian-US rleations," Lavrov said. "I think he really wants to change the atmosphere for the dialogue for the better, to find common ground on different issues, and this is not because he has some special feelings for our country," the foreign minister added. Lavrov noted that Trump is pragmatic and puts US interests in the first place. However, the US president understands that "stable and predictable cooperation with Russia is undoubtedly more in the interests of Americans than continuing a pointless confrontation," the foreign minister noted. The top diplomat said that "the uneasy stage of domestic developments" in the US hampers normal cooperation between Russia and the US. "The 'Russian card' is actively used in political clashes in Washington, Russophobic attitudes are artificially fanned," he added. "We want to hope that US elites will sort it out amongst themselves at some point, and their disagreements will stop poisoning Russian-US ties," the Russian foreign minister concluded. US President Donald Trump has announced his intention to withdraw from the Intermediate-Range Nuclear Forces (INF) Treaty ahead of the midterm elections to strengthen the position of the Republican Party, Lavrov continued. "It is symptomatic that the Republican Administraion has announced the intention to withdraw from the INF Treaty ahead of November 6 midterm elections," he said. "They were probably looking to strengthen the positions of other Republican Party members ahead of the vote," he added. The foreign minister noted that internal political problems in the US seriously hamper normal cooperation with Russia. "Unfortunately, even disarmament treaties between our countries, which are important for maintaining global stability, become hostage to them [domestic problems in the US]," Lavrov said. Moscow is open to resolving issues in bilateral relations in a pragmatic manner, the top diplomat added noting that no concrete issues have been determined or resolved yet due to the US position. "For instance, we have long been offering to start working on eliminating multiple 'irritants' in bilateral relations - whether it is the unacceptable situation with arrests of our citizens on US requests in third countries or the position of Russian children adopted in the US. Many of such issues can be settled if there is good will on both sides," the foreign minister said. "However, Washington persistently avoids looking for solutions, citing the general unfavorable atmosphere in the relations, the situation in Ukraine, in Syria," Lavrov noted. Russia stays open for a constructive and mutually respectful dialogue with the West, the foreign minister stressed. "For our part, we have been and are still open to hold a constructive and pragmatic dialogue [with the West], and to develop relations based on principles of international law, mutual respect and regard for interests of one another," he said. According to Lavrov, the basic disagreement between Russia and Western countries is rooted in some countries’ determination to preserve their leadership on the international arena, to keep forcing "their will and values on whoever and wherever," and to try to "resolve their mercenary problems at the expense of other members of the world community." The sentiment is deep-rooted in the US ruling circles "where they are stubbornly refusing to accept the reality that the multipolar world order is being shaped" as they continue viewing the United States as "a world hegemon which orders the others how to behave." "[They] consequently see a threat to the US, and generallt Western global domineering, in Russia’s independent foreign policy, our independent stance on major contemporary issues," the Russian foreign minister went on to say. "In this connection, unilateral economic sanctions, other means of restraint are vigorously employed against us, starting from a military build-up next to our borders and finishing with an unprecedented scale of the anti-Russian information campaign," he said. Member countries of the European Union (EU) sustain over $100 bln in losses from anti-Russian sanctions dictated by the US, Russian Foreign Minister Sergey Lavrov said. "There are different estimates of losses sustained by the EU from sanctions," Lavrov noted. "According to some estimates, losses stand at over $100 billion," he added. 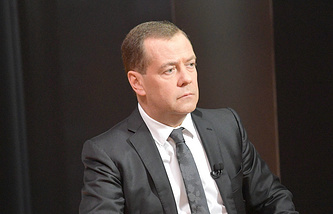 The foreign minister noted that European countries imposed sanctions on Moscow under Washington's direct influence. "It is worth noting that Americans themselves do not sustain any losses in this situation," he said. Lavrov noted that the conditions of Russian-EU relations cannot be considered normal. "The mythical 'Russian threat' is forced onto Europeans mostly from the outside," the top diplomat added. He stressed that "objectively, sanctions are not beneficial to either Russia or the EU." "It is important that this understanding finally comes to European politicians," Lavrov continued. "We repeatedly stated our readiness to lift [Russian] counter-measures. However, the EU should make the first step since they were the first to spin the sanctions spiral," he added.